Del. 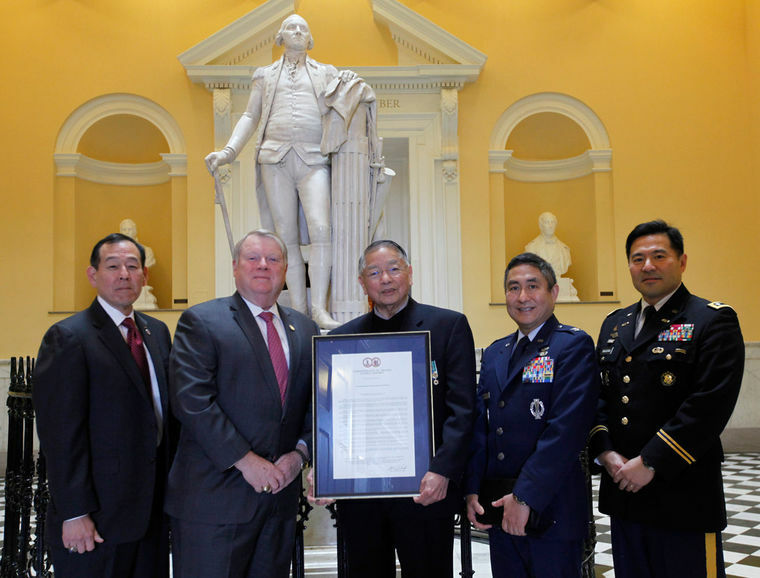 L. Scott Lingamfelter, R-Prince William, Col., USA, (Ret), 2nd from left presents a resolution honoring Japanese-Americans who have served in the US military to Col. Dale Shirasago, USAF, (Ret), Capt. Wade Y. Ishimoto, US Army Special Forces, (Ret), Col. Derek Hirohata, USAF, Lt. Col. Mark Nakagawa, USA, (Ret), during a ceremony at the State Capitol in Richmond, VA. — BOB BROWN/TIMES-DISPATCH, Tuesday, Feb. 24, 2015.